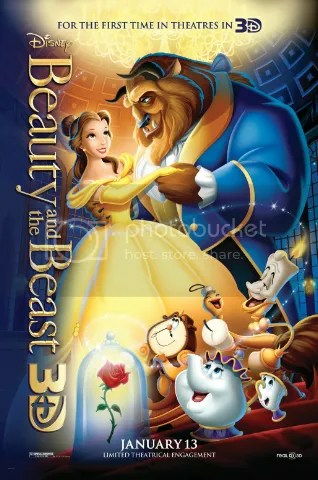 I was only 11 years old when Beauty and the Beast was first released in 1991. I vaguely remember my mom taking me to see it. It’s kind of surreal to think that I’ll be taking my daughters to see the very same movie this weekend! Beauty and the Beast returns to theaters for the first time in 3D this Friday! P.S. – Get there early to catch the all-new animated short Tangled Ever After!